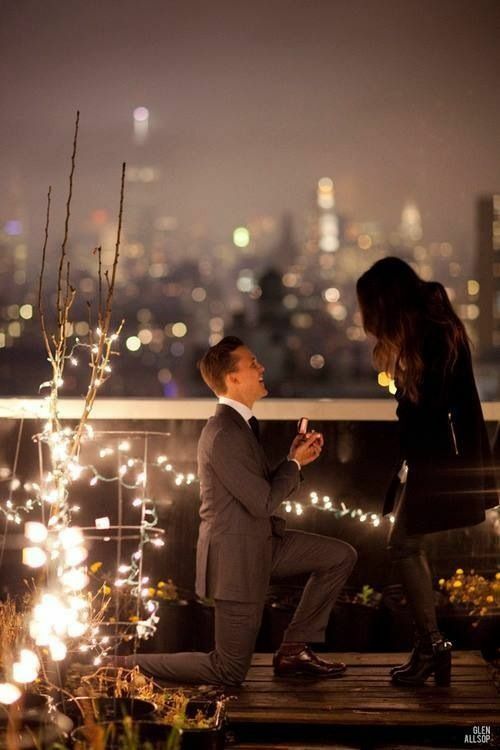 A proposal is such a special moment and that you will remember forever. We have created a few tips to make sure that this moment is everything you desire. So keep this post open on your computer so your significant other can see it and get the hint!!! 1. Talk about it! Make sure you and your significant other are on the same page regarding getting married. The last thing you want is for your proposal to be politely declined. 2. Ask for permission. Make sure you ask her parents for their blessing before you propose. This is such a huge sign of respect and allows for the parents to know that you truly value their decision. 3. Be ring ready. Proposing without a ring is not a wise decision. 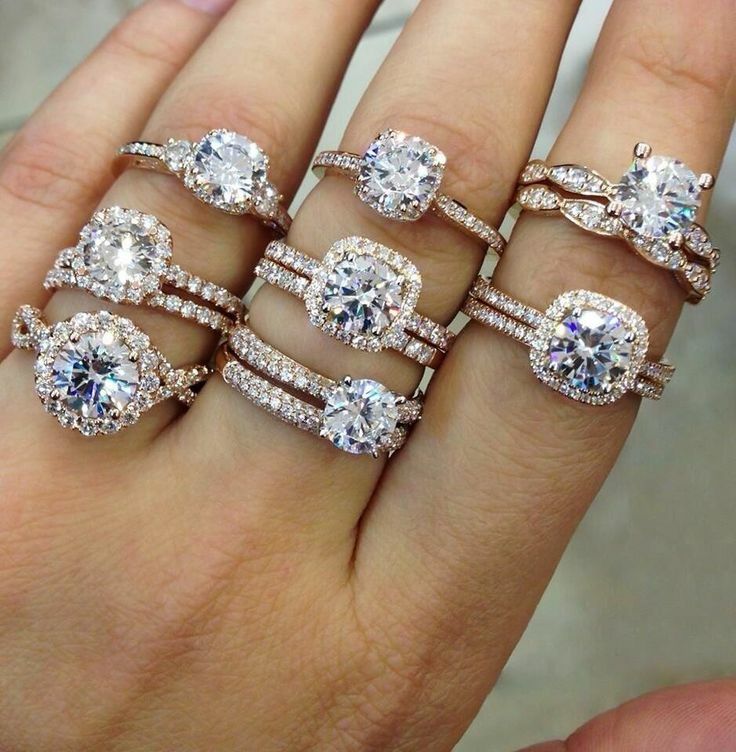 So make sure you enlist the help of her mother and friends on picking out the perfect ring. Remember she will be wearing this for the rest of her life so you want her to be in love with it. (The average ring is a 1.18 carat Princess cut diamond that averages around $3,500-$4,000). 4. Be romantic & pick a special place! 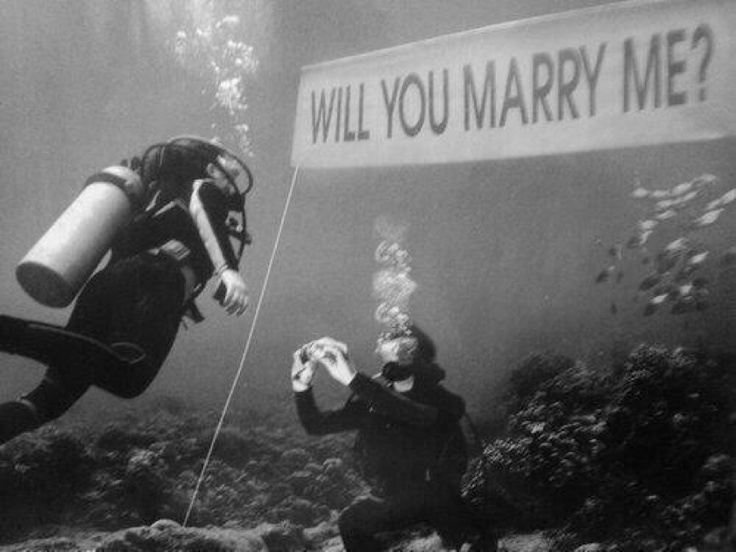 Make sure to go above and beyond for this proposal. Maybe pick the location you two first met, her favorite spot in the park or even take her to a location she loves (Times Square, Griffith Observatory, etc). But don't just leave it at that, add some glitz and glam. Have it at night with twinkling lights, have rose petals on the ground, something to make it special and romantic. 4. Make it a surprise! Try your hardest to make sure that she has no idea!!! As much as women hate surprises, we love them also. Only enlist a few people who can keep a secret from her to help you with your plans. 6. Make sure her nails are done!! This is so important!! Women will want to take pictures and flaunt their ring, but if their nails are not groomed it will take away from the beauty. Ask her best friend or mom to take her to the spa a day or two before the proposal. She will have no idea and just think that she is having a much needed girls day. 7. Get down on one knee. 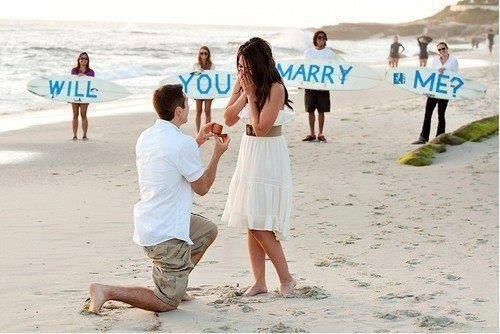 This may seem so cliche but it is one of those fairytale moments that all women dream about. Also remember to use her full name. It sounds formal and elegant during a proposal. 8. Use the magic words. Every bride will want to hear "Will you marry me?" So make sure you practice that into your speech. Also, be sure to include all the many reasons you love her and why you want to spend the rest of your life with her. 9. Get it on camera! This moment is one that she will want to relive over and over. So make sure you have someone secretly videotaping it. A good idea would be to show her the video on your wedding day! She will have no idea that you recorded it and be able to see her reaction. If you still need help deciding what to do take a look at these videos for some over the top proposals that took creativity and love.